custom cycling jersey, manufactured based on high-quality materials and advanced technology, has reasonable structure, excellent performance, stable quality, and long-lasting durability. It is a reliable product which is widely recognized in the market.Our company introduces foreign high-quality silk, cotton and linen and other natural fabrics for design and production of oem sportswear. At the same time, we also pay attention to the use of the latest high-tech fabrics. In this way, our garments have the comfort of natural fabrics and the superiority of high-tech fabrics for easy cleaning. Besides, they can be preserved for a long time.Betrue Sporting Goods's custom cycling jersey has the following advantages over other similar products. 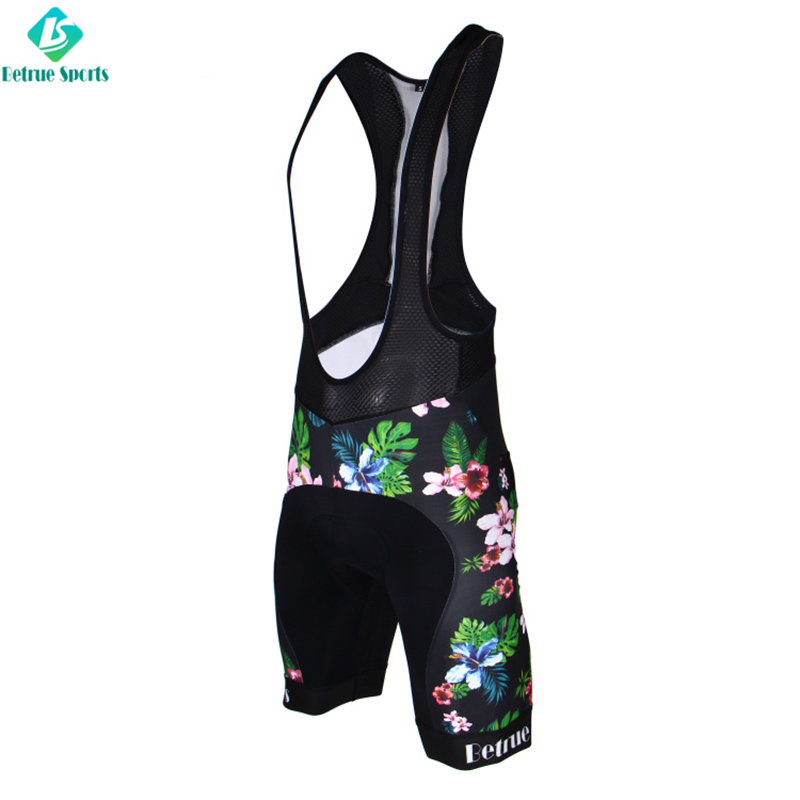 ◪ The Fashion China Cycling Shorts combined Italy and good quality China fabric for it, perfect compression fabric 225g on crotch, 240g fabric om side and back panel. Beautiful flowers design, with great price and perfect quality. 1. In all aspects of cycling bib shorts design and production, Guangzhou Betrue Sporting Goods Co.,Ltd. has become a leader in the industry. 2. It turns out that putting cycling bibs in the first place takes effect for the improve of the company.